Happy Monday everyone. Today I want to get back to the series “Does my car REALLY need this service”. 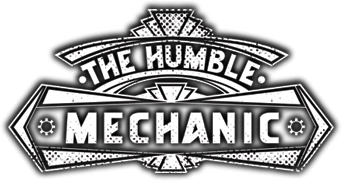 Have you ever wondered if the service your mechanic is recommending is really needed? Well if you have then this series is for you. I will post links to all the rest of the posts in this series at the bottom of the page. Today we are talking about pollen or cabin air filters. What is the Pollen or Cabin Air Filter? This filter cleans the air that enters your car. It can remove dust and pollen from the air before it enters the cabin of your car. Think of it just like the filter that you have for your home heat and A/C system. In the grand scheme of car performance, it is not very important. Many cars don’t even have a pollen filter. 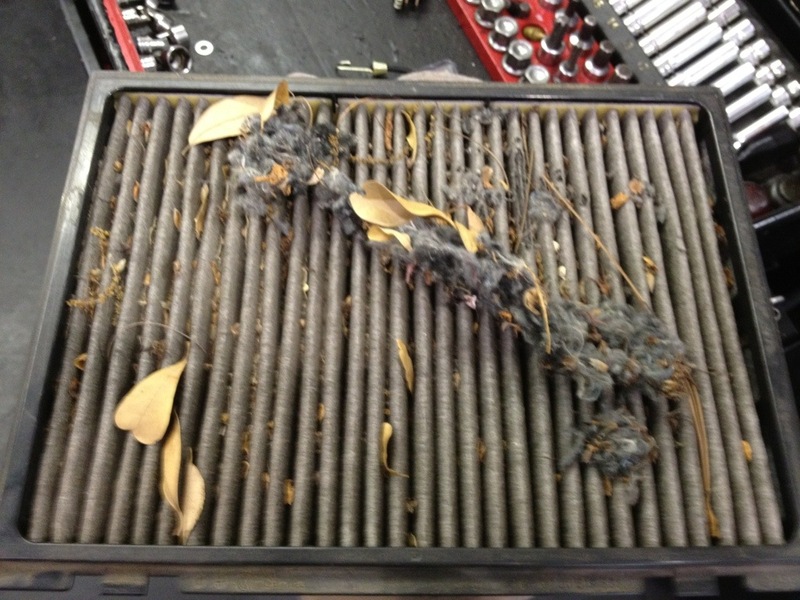 So you need to make sure your car has a filter before letting a mechanic replace it. 😉 The pollen filter is more of a comfort filter. Imagine driving through a dust storm with out something to filter the air coming into the car. That dust could just come right on in.Or, if you live in the southern USA imagine all the pollen that would be coming in the car if you did not have a filter. Like I said, this filter is NOT a critical system of your car. Having a dirty pollen filter will not leave you stranded. It will not cause your vehicle not to perform properly. It is there specifically to add to your comfort while you drive. And that can be pretty dang important. How do I know if I need a new cabin or pollen filter? Inspecting a pollen filter is just like looking at any other filter. It can be really easy to tell if it needs to be replaced. Heck, removing the filter will be the hardest part. This will give you a good idea of the average life of a pollen filter. Replacing it every 20,000 miles seems to be a common standard. Check your book and see. This is a great way to check your filter. If you can remove it, give it a good look over. Look between the ribs of the filter and check for dirt or other debris. Also make sure it is not wet. You may have bigger issues if your pollen filter is wet. This reminds me of someone that would say “Hey, smell this, it’s awful” and then you smell it. And it is awful. Giving a filter a sniff test is the last test. Just be careful, you don’t really want a face full of stink. Do you REALLY need a new filter? Just like any filter, it really depends. If your owners book says replace it, just replace it. If you inspect the filter and are not sure, just replace it. Pollen filters are not that expensive. If the filter is in bad shape, you can attempt to clean it, but I have not really seen that work. Pollen filters are also a great first DIY. There is very little risk of doing it wrong on most cars. Well, that wraps up another “Does my car really need this service?”. I hope you are enjoying the series. I really hope that someone has used this as a guide in servicing their car. If you have, PLEASE post in the comments below. I would love to get some feedback. 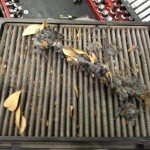 Check out the other posts in the “Does my car really need this service?” series. I would think that if your filter is dirty enough, you may have issues with your heat/AC, unless you have it on recirculate. Thanks for the write up, something I wouldn’t have thought of, since I don’t have a car that has one, but after you mentioned the pollen, it would be nice to have. this is a very easy thing to replace if you can find the filter. Most manuals don’t tell you how to find it but a service center will gladly charge you 50-60 bucks to do it. On my Honda and my Volvo, it is located behind or under the glove box. Just google it and you’ll find plenty of sources. I don’t have a VW, but I do like this site! I find a great deal of the information posted can be applicable to all cars. Keep up the good work. I live in Austin and I replace mine every other year. I have a Ford freestyle and the filter is easy to get to. It’s a big comfort because we have so much cedar down here. 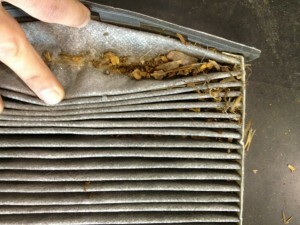 Air filters are better checked every six months if you often use your car and often use AC as well. If you think it will need replacing then you should. Why wait until it is completely broken. I agree with Tony. Too many people rely on garages, when really its no more difficult then changing a lightbulb or wiring a plug. So I have a 13 vw jetta. Every 3 months I get my oil change, & they tell me that I have to get my cabin air filter replaced everytime as well. They say that my car requires it. Is that true? Doubt it. Seems like they are taking you for a ride. Oil change every 3months for a 2013 modern car!? Unless you are driving 8k miles between oil change they are milking you. As for pollen filters. Changing them once a year at the most. They can last up to 2 years if you drive in a relatively clean area and the car is garaged. Judging by your name, you are a woman. The mechanics or technicians to where you get your car maintained are taking advantage of your lack of knowledge about car maintenance. Unfortunately women are the favourite targets of less reputable mechanics. Well the best way categorize cabin air filters is not if it will benefit your car, but how it will benefit you. It’s your health vs the cars health. 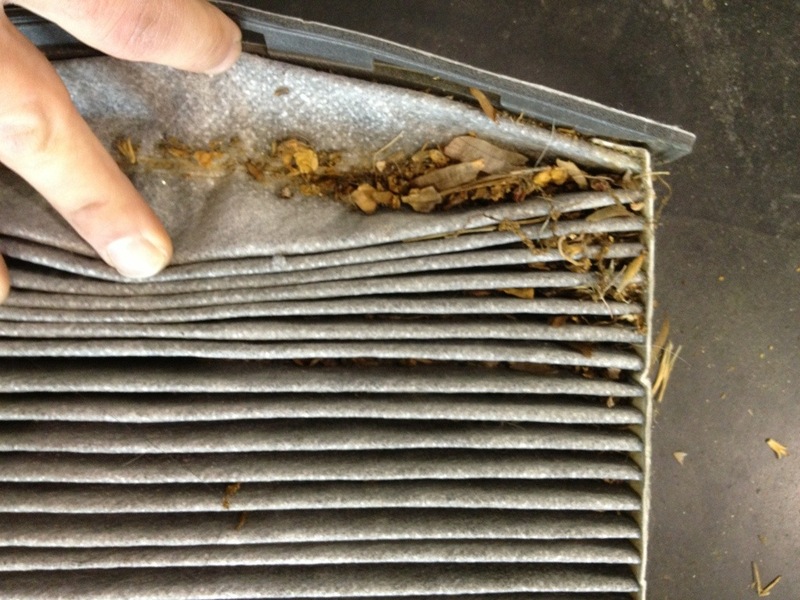 Remember every time you use the cars HVAC system that air has to go through that filter. If that filter is filled with mold, pollen, dead bugs, etc. I can’t imagine that can be very good for you health never mind the smell it’ll create. I just came across you site…great! Do you really need an alignment? Well, it depends…Is your steering wheel straight, did you just buy a new set of tires for your car, are your tires wearing evenly? If your steering wheel is straight, the tread on your tires have an even amount of wear, and your vehicle isn’t pulling left or right while you’re driving, then chances are you don’t need a wheel alignment. Many shops will check your alignment for free. If you find a shop that will check your alignment for free, ask them to provide you with a print out so that you can see for yourself if the alignment is off or out of spec, and by how much. This is a big money maker for shops, and many will even try to sell you a 3-5 year alignment service plan. Most people don’t need this service. If your wheels are out of alignment this will cause your tires to wear prematurely, and unevenly, resulting in a new tire purchase sooner rather than later. So while it is important for your wheels to be in alignment, you don’t necessarily need one just because a shop is trying to sell you on it. Just this past week I took my car to the dealership for some recall repairs. When I came to pickup my car the service guy hands me a quality inspection report indicating that I needed an air fuel induction service with throttle body cleaning ($120.00 dollars). I asked why my car needed this service. He began talking about carbon build up in my engine and even showed me a generic picture of an engine with carbon build-up, etc. etc. trying to sell me this service. Then I asked again, why does “my car” need this service? I then explained that this service was literally just done on my vehicle the day prior by another shop. The service guy just studdered…ahh, well, umm we don’t actually take anything apart to look at it, so we didn’t know. Bottom line, make sure that you trust your auto shop and don’t be afraid to get a second opinion. My heater fan motor and fan speed resistor blew up! The Garage is telling me it’s because the pollen filter was needing changed??? My car had a 5 year warranty which ran out in late Dec…early Jan in Oz and bloody hot!! Is this a possibility? I just took my Honda Fit in for inspection. I get it back with the bill and see a “replace cabin filter” charge plus the labor. It was $60 for the filter (which I found out only costs $18-$25 at local auto parts store + $48 in labor. It took me 22 seconds to take the filter out myself, which included the time it took to empty the glove box. Learn from my mistake and do it yourself. Why don´t I have great big pollen filters all over the side windows, because much of the fresh air comes from there… And I would like to pay another 120$ for changing them. And why don´t we walk around with gas masks on our heads 24/7!